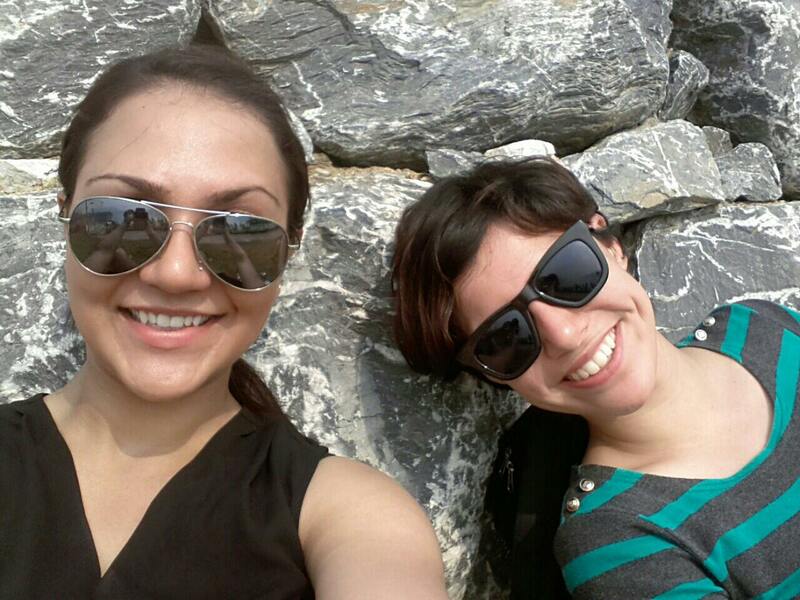 A few months ago my friend Ava and I went on the local air force base for a bit of shopping. 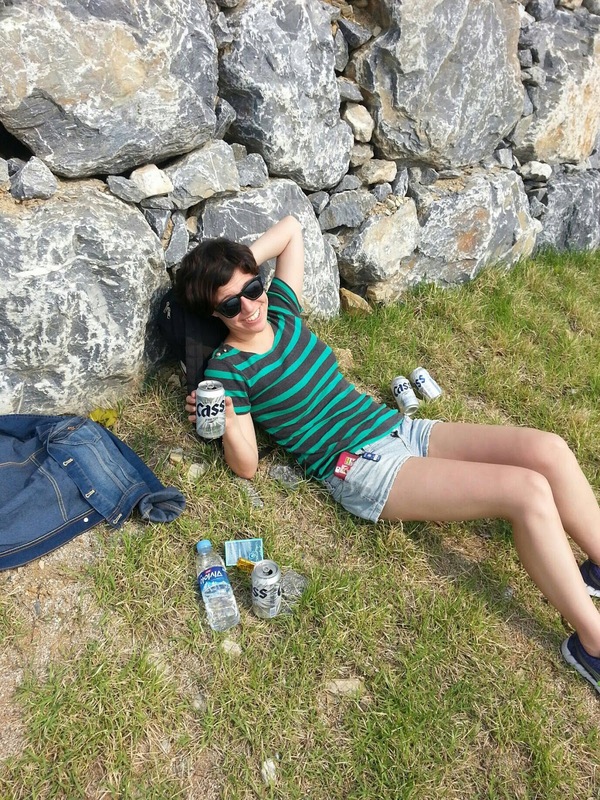 After collecting a plethora of western goods we wanted to own she encountered a problem. She's from Canada and therefore doesn't have an American credit card. Poop. So that is how she came to owe me $50. Now originally she was going to pay be back by taking me out to a really nice girls date with a fancy dinner and super cute clothes- which would of been fun- but then Ava had a better idea. 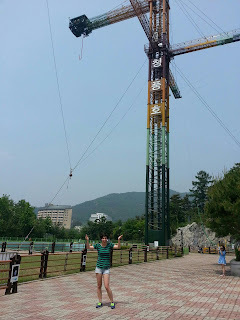 From South Korea's highest Bungee Jump at 62 m (about 203 ft) in Cheongpung Land!!! 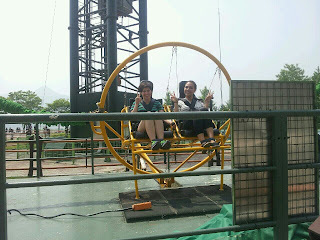 But it didn't just have bungee jumping, but also the "big swing" & ejection seat all for 60,000 won. Perfect. Who needs fancy dresses and expensive food when you can get adrenaline-filled awesomeness! So I stayed up at her place until 1am, we woke up at 5am, and we were on the road by 6. 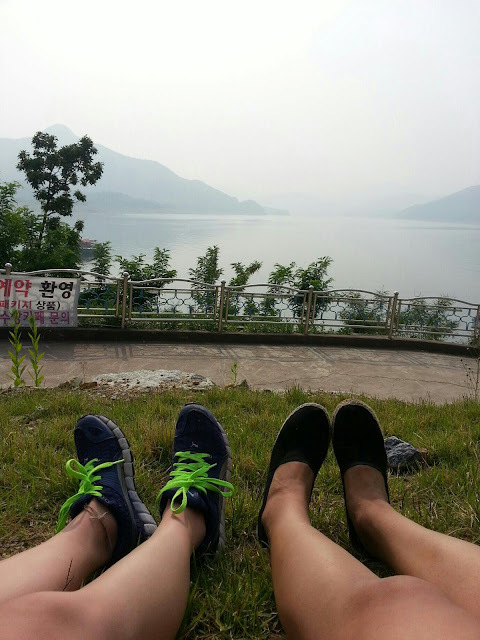 After a taxi and two trains, we arrived in Jecheon at 10am. I could not remember the name of the park for the life of me. I kept calling it Chogum (Small) Land or Jampong Land and maybe that's what all the Koreans heard too because when we asked for directions they led us nowhere. On the downside, we wasted a bunch of time just walking around. 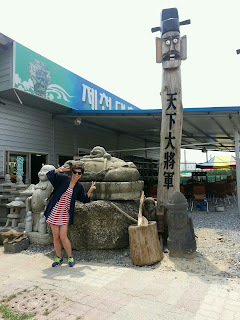 On the up side, look at this cool store thingy we found! 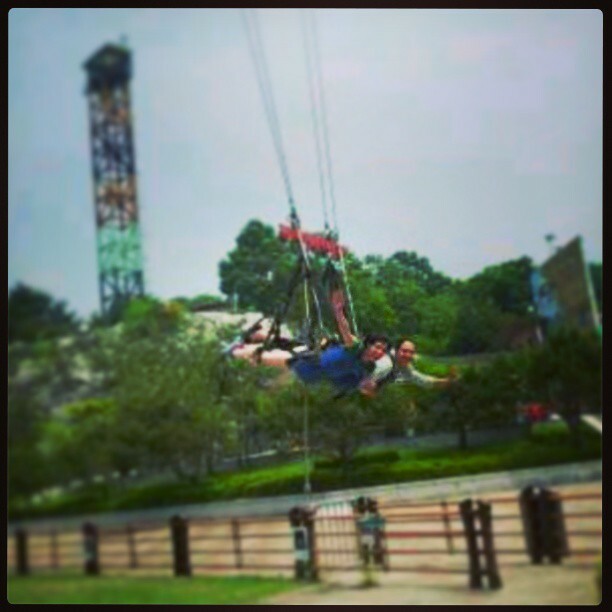 This was my first time on the big swing and I thought it was the scariest at first. You're strapped together and ever so slowly pulled high above an audience. Then you're told to pull a cord to release yourself. Yup, you have to release yourself manually. Being the hero that I am, I agreed to do the honors and when they gave me the signal I pulled. For a split second nothing happened and Ava and I just looked at each other in terror as I give another frantic tug- VROOM! AHHHHHHHHHHHHHHHHH! WHEEEEEEEEEEEE "SUUUUUUPPPEEEERRRMMAAAAANNN!" After we got down, a pair of Korean girls tried to interview us. Ava gave some perfectly formed comment about how much fun we had. I can't speak properly and so I rely on my hand thumping on my chest to signify my pounding heart. No time to relax! 10 minutes later, it's time for the Ejection Seat! I'd done this one before but that didn't do much for the fear. 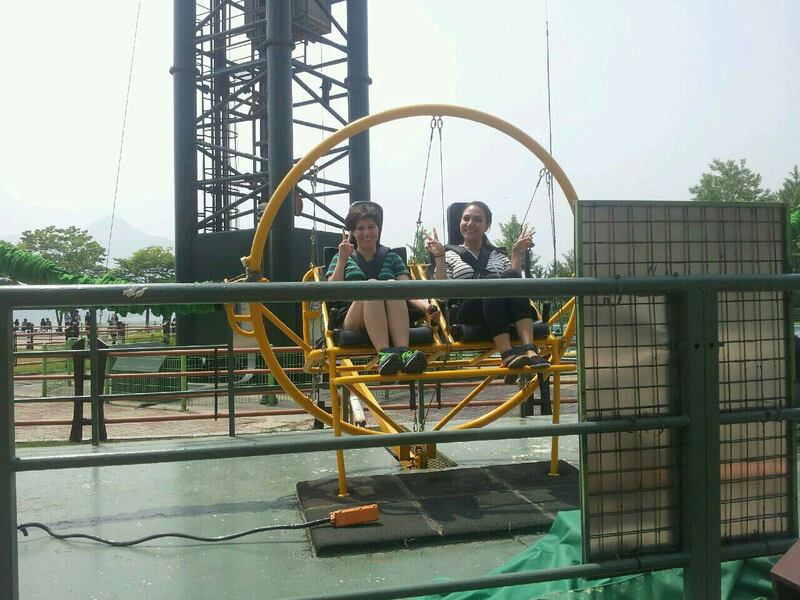 To make matters worse, they set us up, and lifted up the seat while getting ready to launch. While we were both hyperventilating, they unexpectedly lowered us back down. Now, no one spoke English but something was obviously wrong. They left us strapped in while tinkering with the machine that was currently in charge of our lives. The wait was excruciating but finally the raised us up again. The two girls came back to interview us. We had very little to say. Now for the grand finale, Bungee Jumping! After completing three extreme activities which would of individually satisfied our adrenaline for the week it was time to sit back and finally relax with a beer or two. and enjoy the beautiful view. What a wonderful way to pay back $50. Can anyone do the bungee? Or do you need "experience"? I read somewhere that it's not for novices. LOL. Korean theatre.. and the countdown begins!